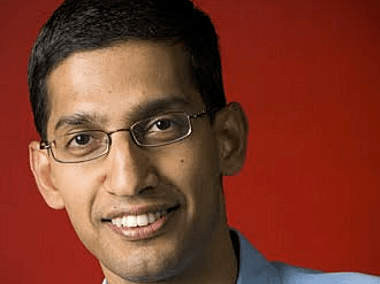 John Battelle's Search Blog What Would You Ask Sundar Pichai, SVP Android & Chrome at Google? – I’ve called Google Now “The tip of a very long spear.” Is that a fair characterization? – Much has been written about fragmentation in the Android ecosystem-is this a problem? Is Android truly “open”? – The relationship between Google and Samsung seems strained – how is it going? – What is the future of the Nexus effort – is Google committed to being a hardware player, or is the Nexus line mainly a way to show off how best to create devices? Related – what happened with Motorola? Was that a mistake, or part of a master plan? – How do Chromebooks and the Chrome OS fit into Google’s future? How do we think about Chrome as separate from Android? – Chromecast, Google Fiber, Play, YouTube: All seem positioned to combat the Comcasts of the world. What’s Google’s POV on cord cutting and the cablecos? Please something about Google´s ATAP Group!! Ah, the new group from Motorola? Google is, above all, a search company, in the broadest sense. Maps, Google Now, Google Earth, etc. How do Chrome OS and Chromebooks — sometimes seen as a simple land grab, a way to increase people’s reliance on Google — fit into the larger ethos? When will we see a chrome os tablet? I hope very soon! 1) Will Android and Chrome merge this year or at least Chrome support Android apps? 2) Are they working on a contextual O/S? Are you worried about index search not translating and monetizing as well on mobile? Great question for Sundar: Are you working on a contextual O/S? GTalk used to be XMPP based. Will the Hangouts protocol be submitted as a standard? Can u shed some more light about Project ARA ? 1) When will the Nexus 10 2 (or Nexus 10 2014) be released? 3) When will Google Play Devices, Google Play Movies, Magazine etc. come to South Africa? When we’ll get Hangouts update for Android? Can you ask Sundar how important he see’s the future of Chrome apps and how big a role will they play in Googles future? How much consultation/participation is sought from external developers when new Android versions are launched?Google Play Services?Fixing security bugs without version update?Combating WhatsApp+Facebook on mobile?Google Glass and Android? Will there be a itunes like software for nexus phones and tablets available on chrome? Question: With Android, iOS and WP being more and more available worldwide, what is the plan for services like Google Play Music and Google Wallet being available outside of the US? Why does it seem that iOS and WP are able to release things like XBOX music or Passport / iTunes radio in places like Canada, while Android users are completely cut off from Play Music and Wallet and Voice in Canada and other countries? Are the “US only, at launch” releases going to change sometime soon? Thank you. Why there have been almost zero visible innovations of Android for the past 2 years? Samsung has a huge success despite its “difficulties” and “Study: iPhone owners have ‘blind loyalty’ and will buy anything Apple makes”. So it’s simply not true that customers want a very simple system without options. Are you aware of that you could be threatened by Tizen when manufacturers find there is no real progress? Why are you not able to give us at least optional number of desktops or permission manager? Why don’t you fight against Microsoft patent blackmailing? Microsoft earns more money from Android than Google. Why don’t you create an Android alliance and cancel all the licences with Microsoft? The world tends to be cancelling all the abusive patents keeping progress behind. 1. Please explain us in detail, why does the Google Services (Music, Books, Movie, Magazine) are different in many countries? I love Android, but this is a downside for me..
2. What happened with nexus 10? Is there any Nexus devices that Google will launch this year? 3. I live in South East Asia and everytime a Nexus device launched, I must wait for approximately 3 month(Nexus 5 launched here on January 2014) for Nexus phones and 6month++ for a Nexus tablet(Nexus 10 still don’t have any information, Nexus 7 (2013) launched on end-february 2014!). How long is the Nexus-selling-lifecycle (from launched one Nexus to the new one, especially tablets)? Is Google planning on speeding up Android update such as OTA’s and App updates? With Sprint adding Wifi calling, are you (for the love of all things holy) going to put wifi calling back into your Nexus line – starting with the Nexus 6? My Galaxy Nexus is getting old – but stuck until I have wifi calling to upgrade to. Sorry we missed that one! Interview was Sunday..